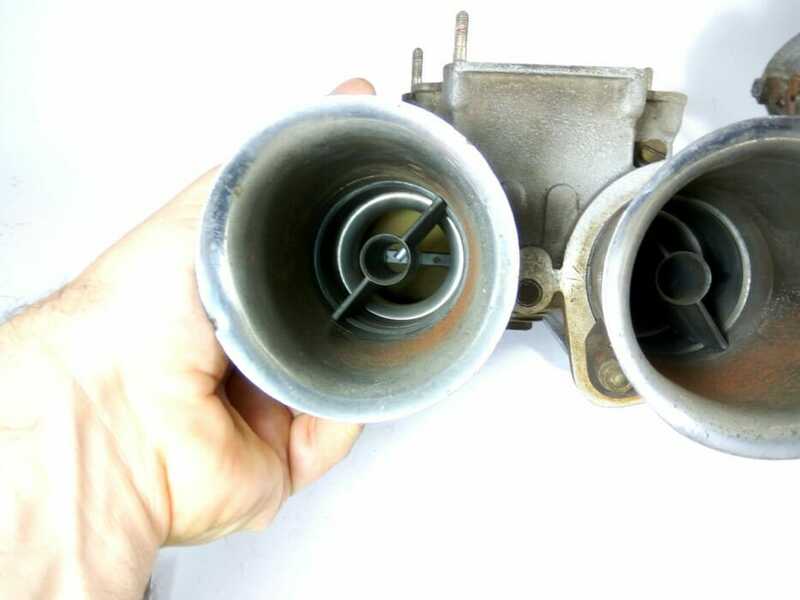 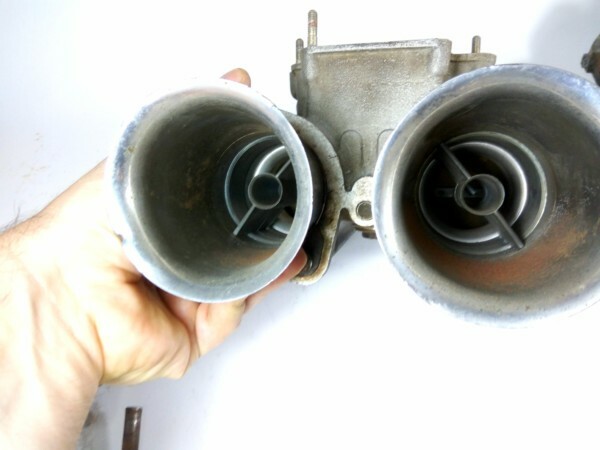 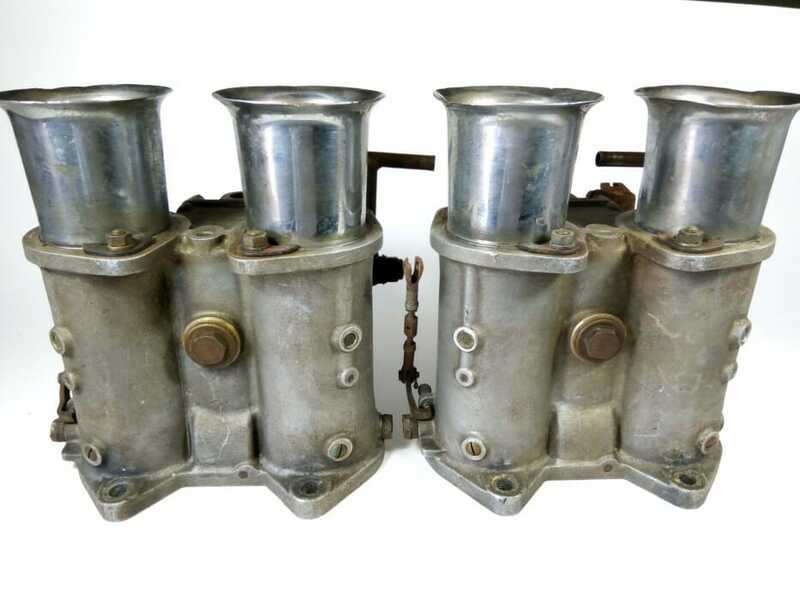 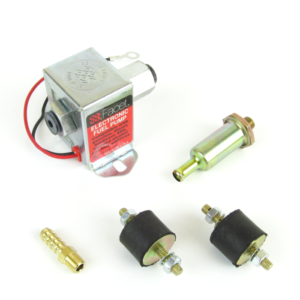 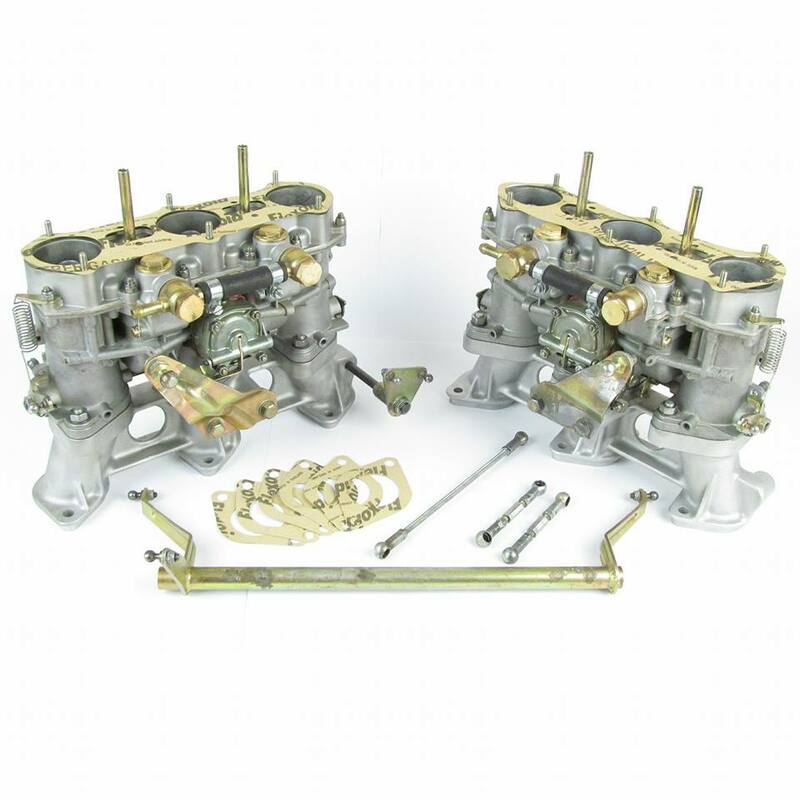 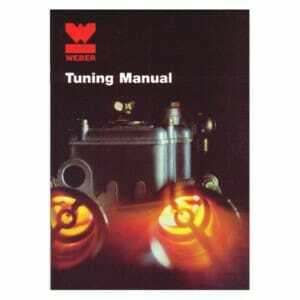 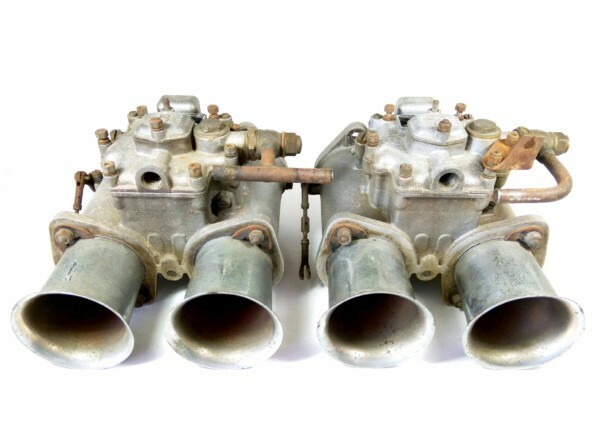 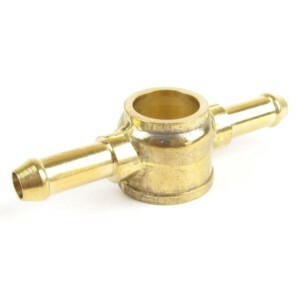 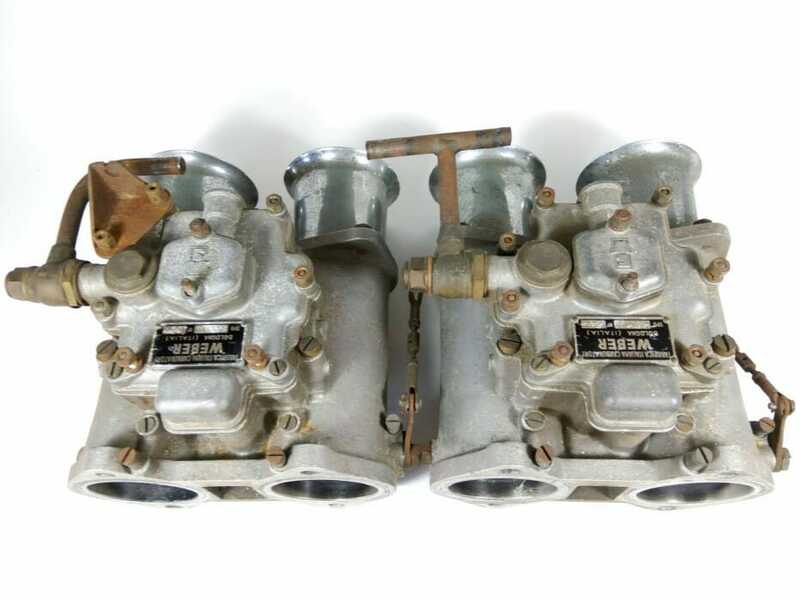 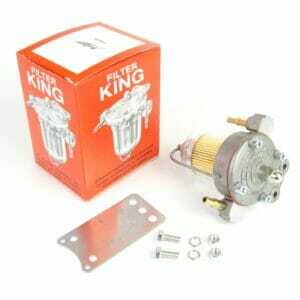 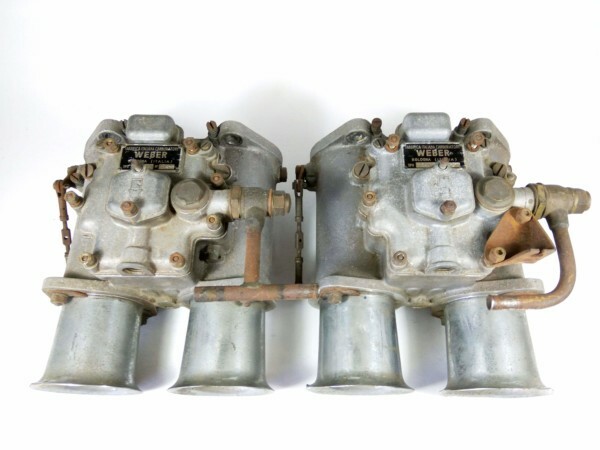 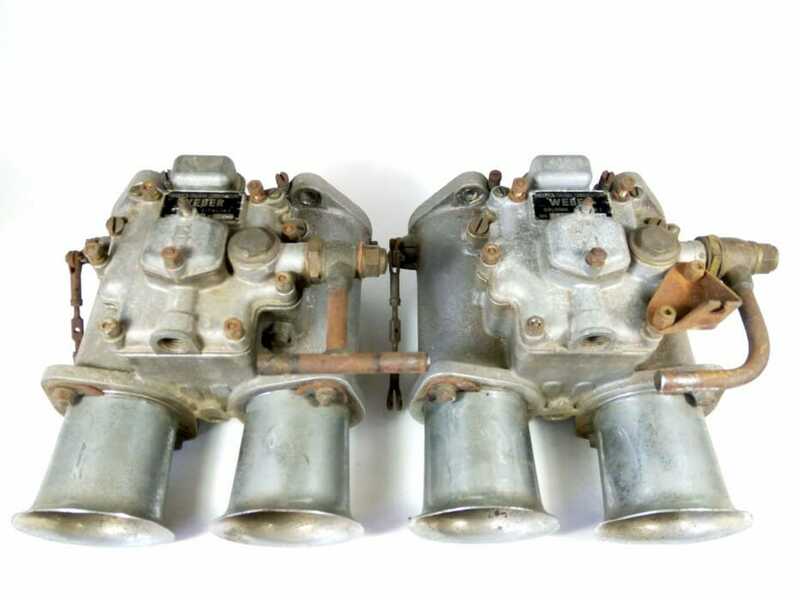 Original WEBER 58 DCO3 Carburettors for Sale (Pair). 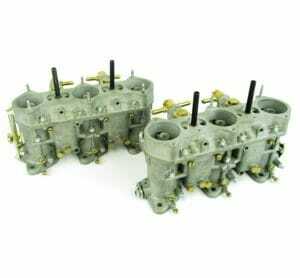 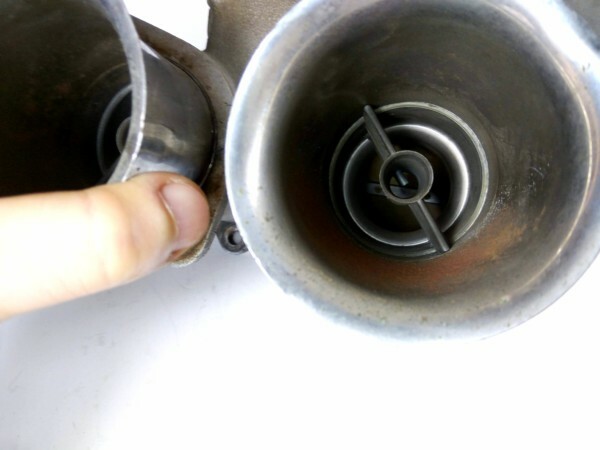 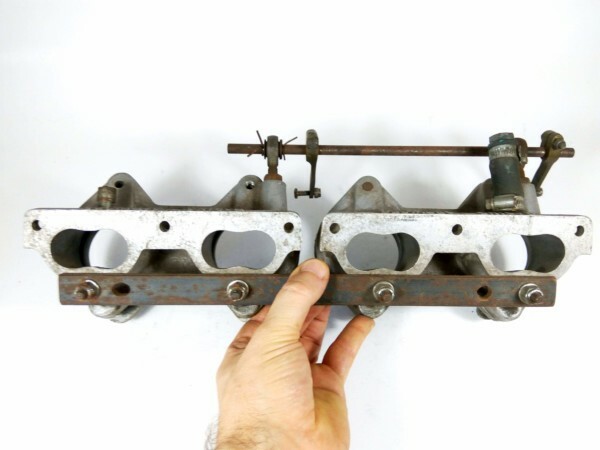 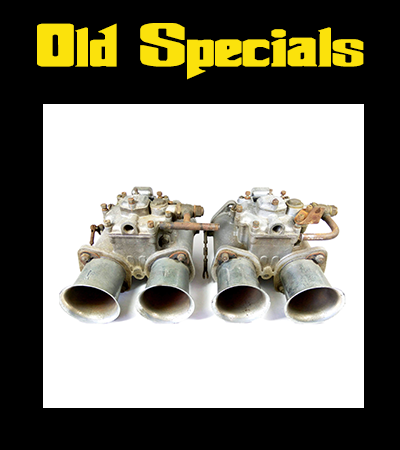 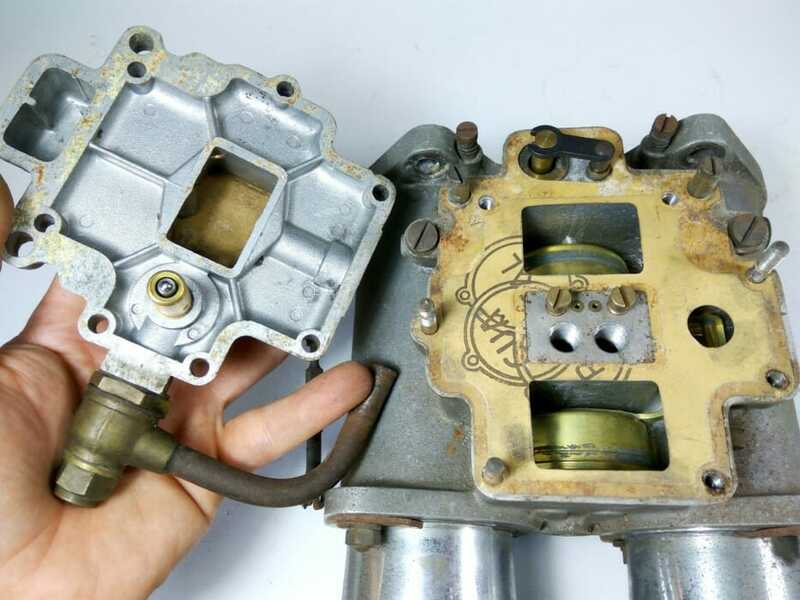 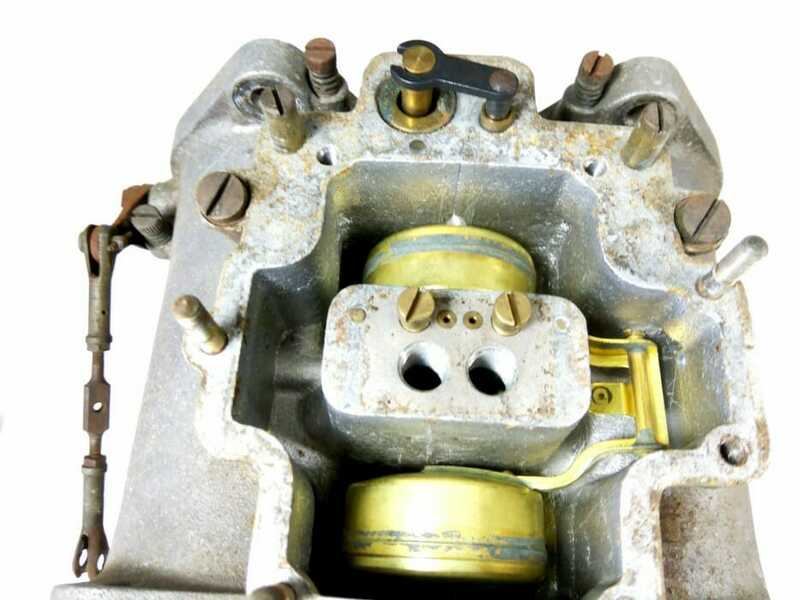 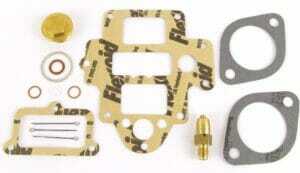 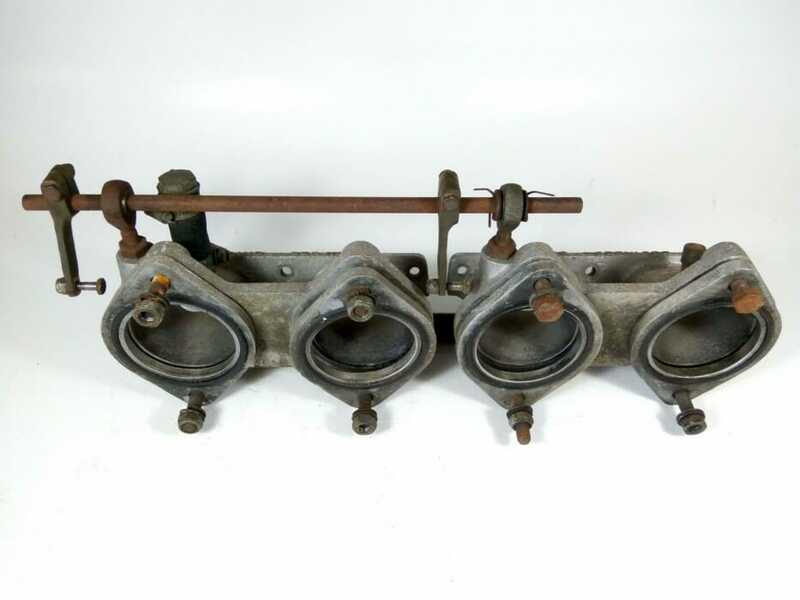 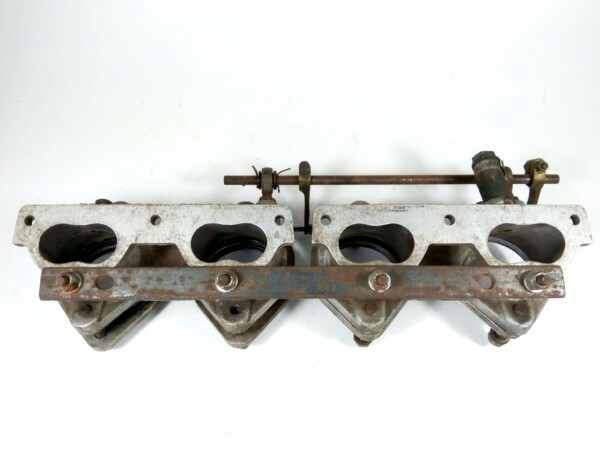 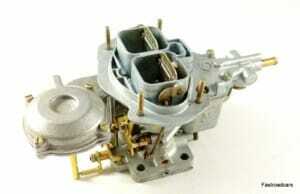 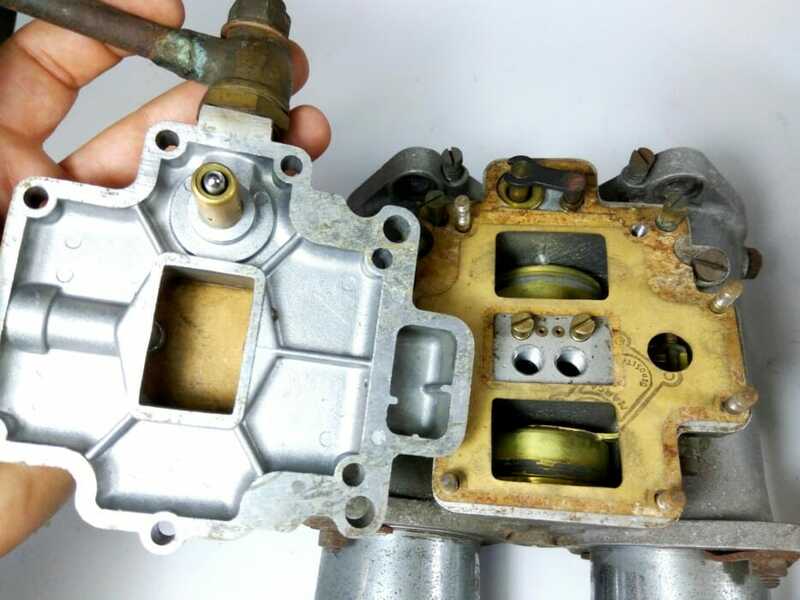 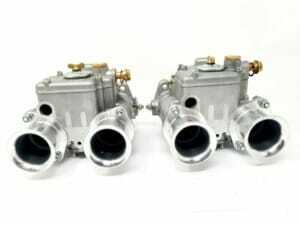 This offer is for x2 carburettors plus the intake manifold as shown in photos. 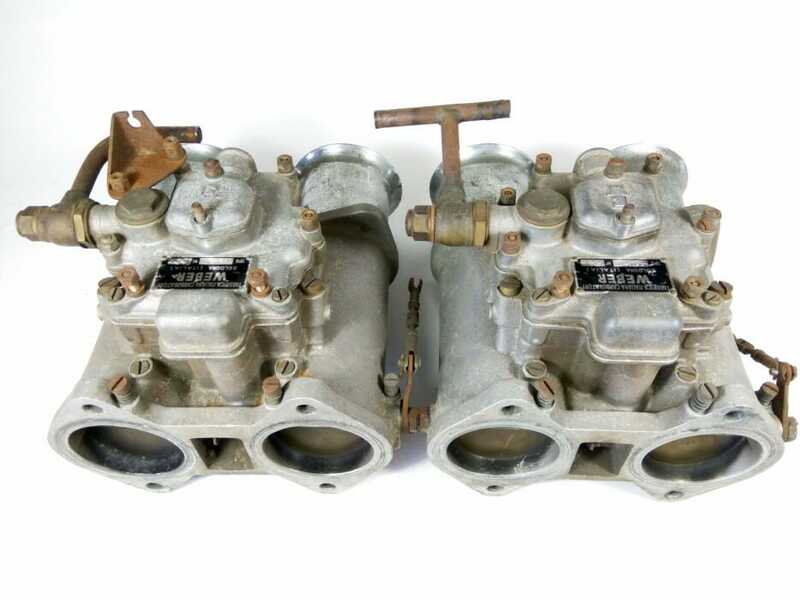 They are in good working order, and in 100% original condition. 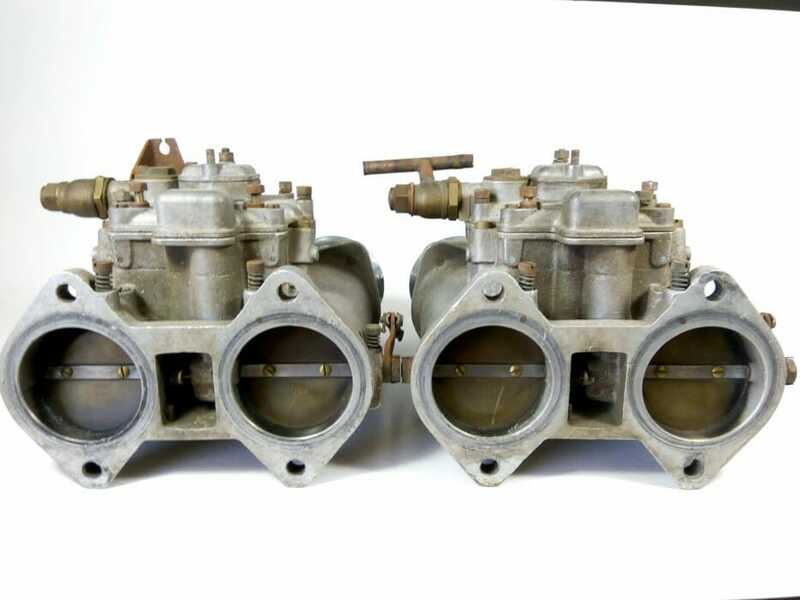 They will require some restoration or at least a very good service. 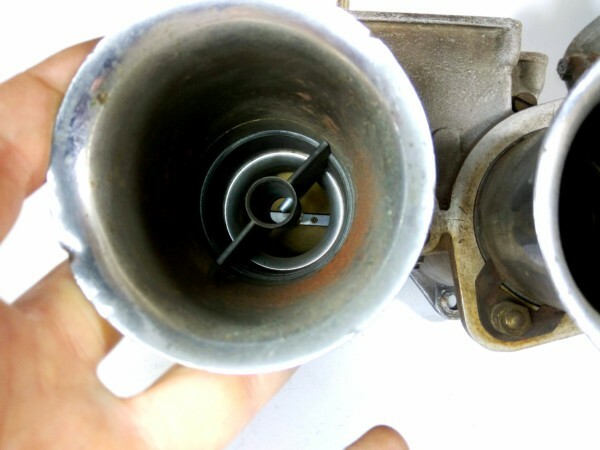 Emulsion tubes x4 are missing. 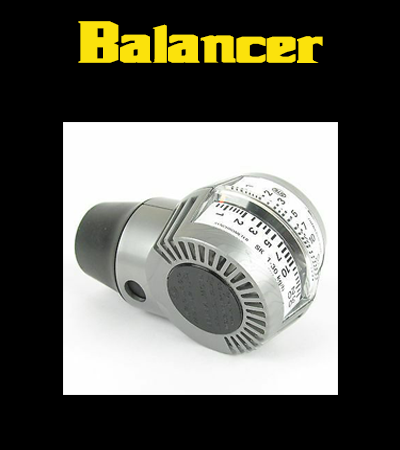 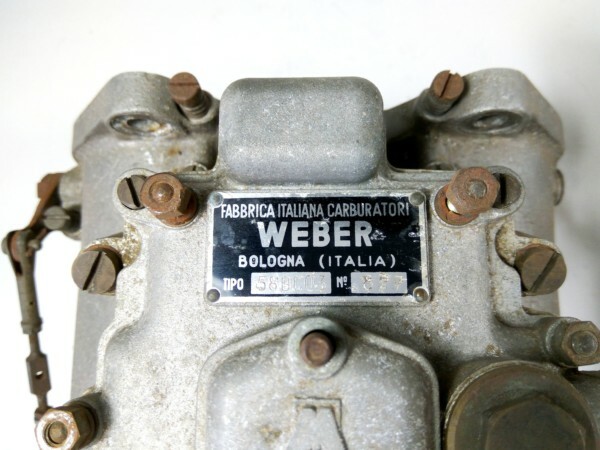 They accept the same ones as WEBER DCOE. 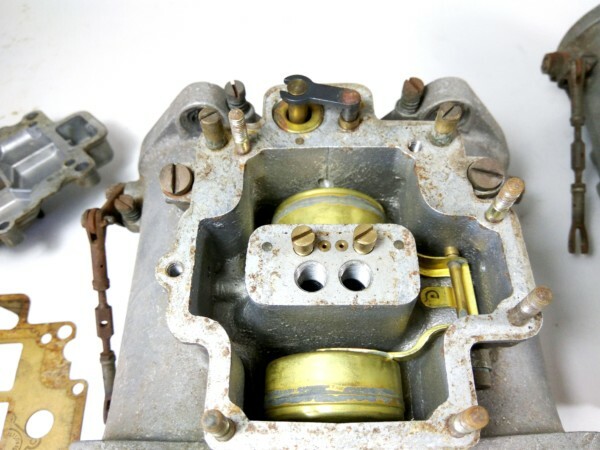 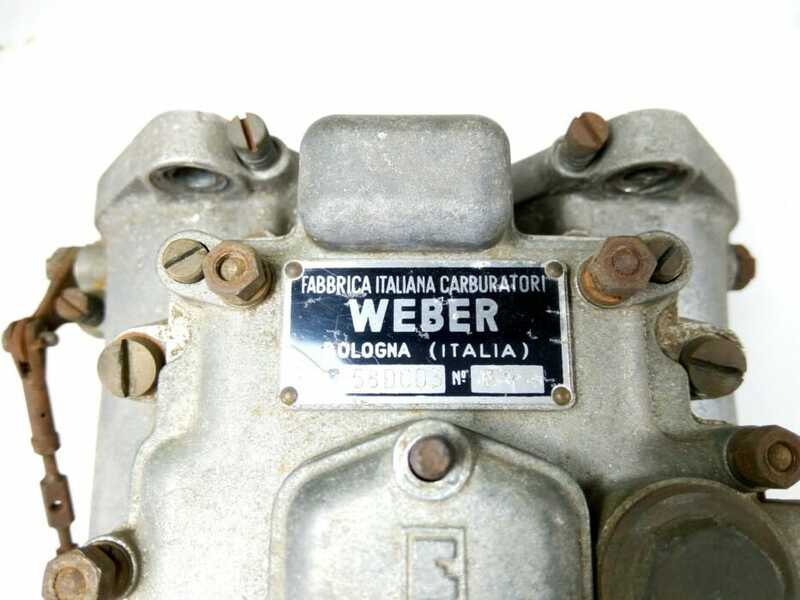 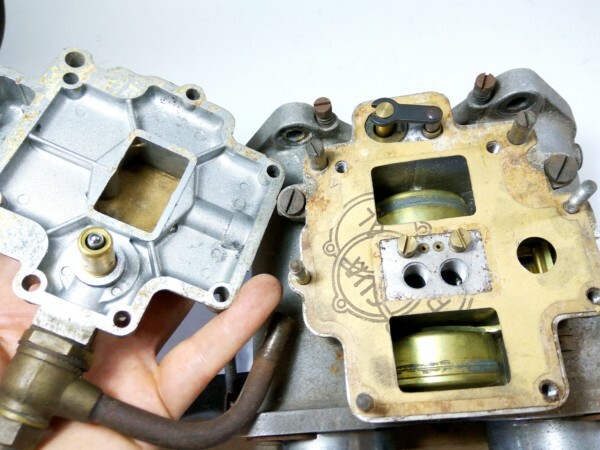 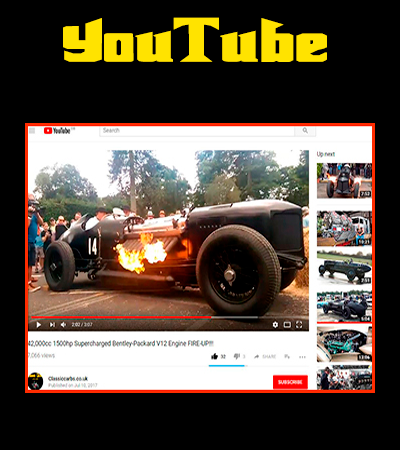 WEBER 58 DCO3 Carburettors were fitted on 1950s-’60s racing engines such as Cooper T51, Brabham BT4, Maserati, Abarth OT & 2000 Sport Spider, Lotus 18 Coventry Climax FPF engine and perhaps more..
We will ship worldwide with UPS tracked & insured service. 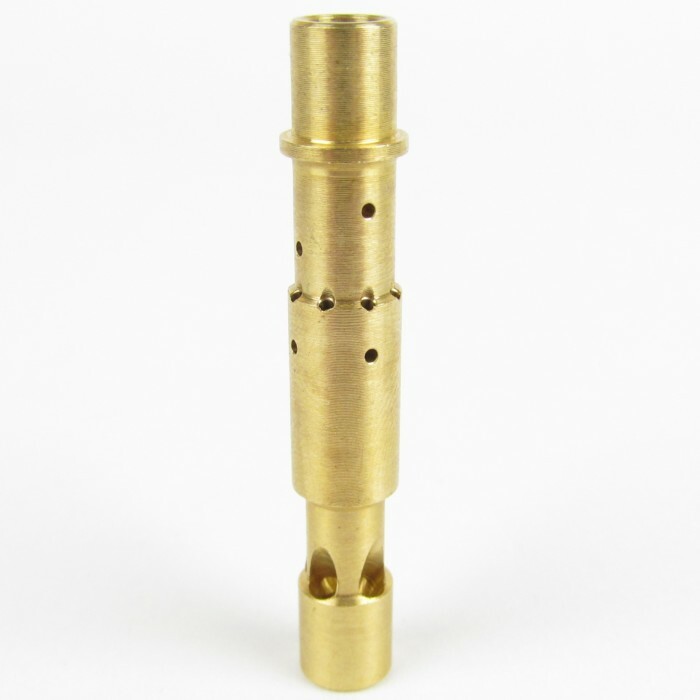 Please allow 7-10 days for delivery in UK & Europe.